A partnership is pitching a new Tampa Bay Rays ballpark and mixed-use development near the Hillsborough River in Tampa, but the plan is not gaining traction with city officials. Months after the team’s discussions over a proposed ballpark in Tampa’s Ybor City collapsed, a new proposal in emerging from the development partnership Tampa Riverfront Sports, led by architect William Henry and developer Geoff Weber. Under the group’s proposal, a new 28,000-seat facility would be incorporated into a larger development concept built out over multiple phases that includes two high-rise apartment buildings with over 1,500 units and a 350-room hotel. 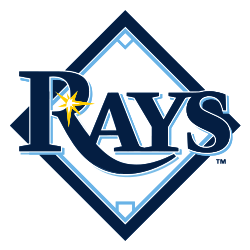 The facility is not necessarily specific to the Rays–project officials say it could be designed for any sport, and the plan was not discussed with the team–but it is being floated as an option should other concepts to keep the franchise in the Tampa Bay region fall short. Meanwhile on Wednesday, Henry outlined his proposal to Hillsborough County officials, who took a lead role in studying financing possibilities for the now abandoned Ybor site but have no role in deciding how the city will use the land it owns just south of Columbus Drive in the West River area. Henry’s 6-minute pitch was the 39th of 40 public comments heard by county commissioners during their board meeting. Commissioners were unable or uninterested in responding to the surprise proposal and moved on with their agenda. Henry told them his only request was their support. Regardless, any discussion of luring the Rays to Tampa with a new ballpark at this point would face a major hurdle because of the team’s lease for St. Petersburg’s Tropicana Field. The team’s agreement to explore the Tampa Bay region for a new ballpark site expired at the end of last year and was not renewed, and their current lease runs through the 2027 season.